The following is an example of how our ENTERPRISE product helps a growing fashion company run their operations. 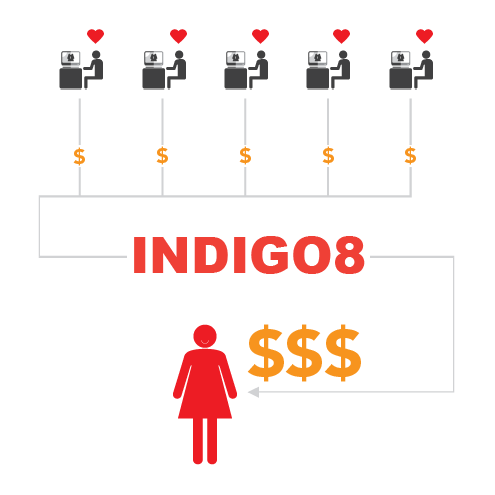 Sam's fashion supply chain management including products, customers, suppliers, prices, sales, purchase orders and inventory are all stored within Indigo8. Her staff constantly use it to analyze information, answer internal and customer questions, search on order information, account inquiries and all other general items that are part of the product development life cycle. In other companies in this industry this information is typically stored in spreadsheets. The following is the typical path that a collection will take as it moves through our Enterprise apparel plm software, we hope this will help you understand how Indigo8 technology works. Sam has just designed a new collection consisting of 60 new styles. She now wants to get them into her Indigo8 supply chain software so that she can order her samples and calculate her costs and prices. Because Sam is extremely organized, she is using 12 fabrics and 25 trims across the entire collection; she places each fabric and trim onto a template before dragging the required items to their designated styles. Sam then drags the artwork and images of the styles from her desktop onto the styles as well. Filling in any technical information, before finally applying the specs and size information. Her product input is now complete. From here, Indigo8 Solutions provides Sam with technology that has literally transformed her fashion supply chain. 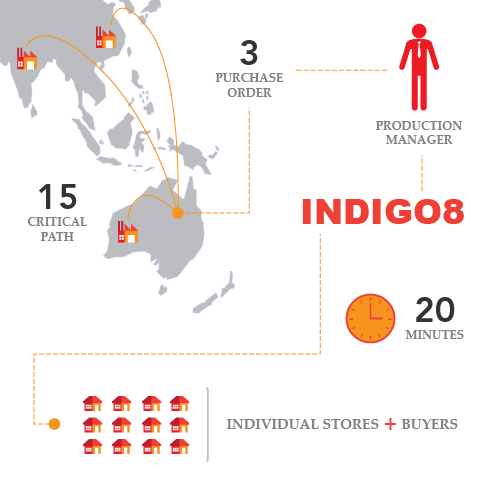 Sam's assistant order's the samples and tracks their progress using Indigo8 Solutions fashion supply chain software. It tells her which samples needs to be sent out, what is at the maker and the styles that have been sent back ready for quality checking and photo shoot. 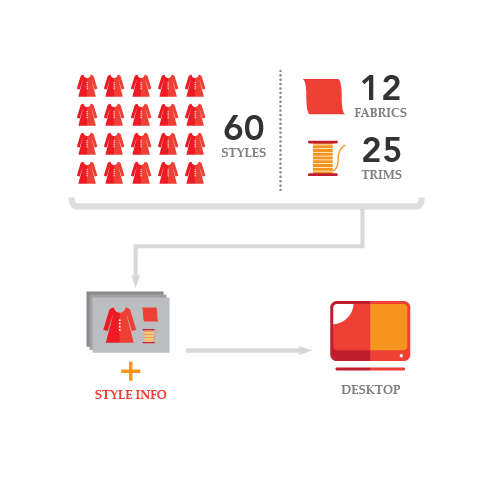 Our apparel supply chain software provides technology to manage the entire process from a single screen within the system. As samples arrive so will the factory FOB prices, Sam records the FOB prices in the system and then used it to calculate her other costs such as freight, insurance and forwarder fees. She can then use some simple tools to help her work out her margin, wholesale and retail prices. When the samples arrive, Sam arranges her selling photos and uploads them into the Indigo8 SALES module. Soon after organising her sales, Sam arranges for the new range to be published to her integrated web site, she can do this with a single click of a button. Her sales staff and agents can record sales in real time. 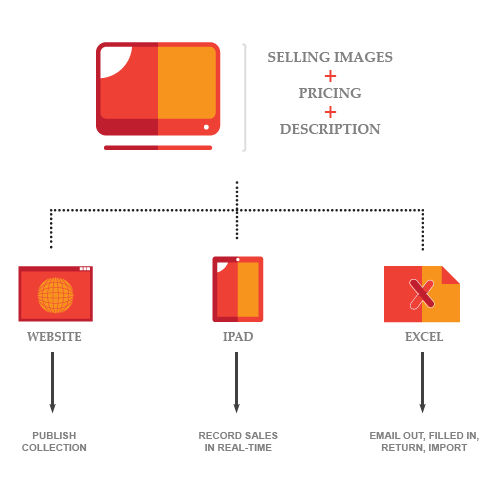 Any sale recorded will feed directly into the main system, right from their IPAD. Sales people who do not have access to iPads can use the system generated .xls sales forms. These can be emailed to customers, filed in, returned and imported, quickly and easily. The new collection is selling like hot cakes, Sam has hundreds of orders flowing directly into her plm software system, which have been entered with minimum effort, there has been almost no double entry of information. Sam’s apparel supply chain has never been so organised. Sam is getting the collection made with three different manufacturers. One local and the others in Asia. She wants to create three purchase orders and track the status of around 15 critical path tasks for each factory. 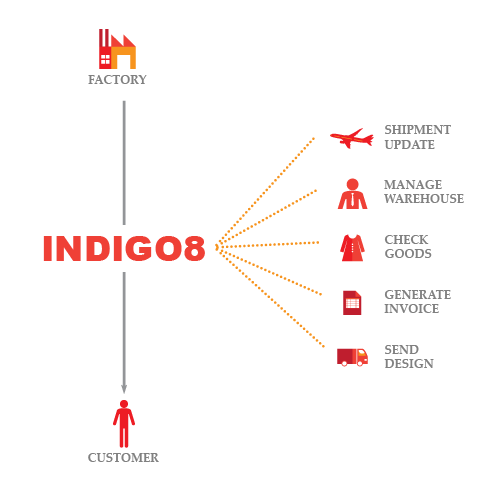 Her production manager uses Indigo8 to consolidate all those sales from hundreds of individual stores and buyers into just a few Purchase orders. 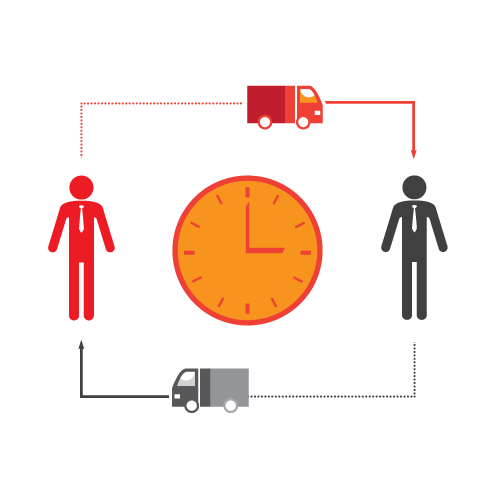 Our system can perform this function that used to take the Production Manager days in just 20 minutes. The production manager uses our critical path feature to track lab dip approvals, and fabric purchases that they need to arrange and send to the factory. 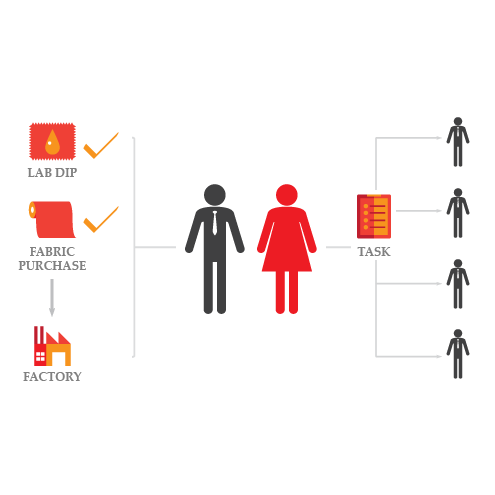 The system allows her to create her own tasks and assign them to internal staff and track what is going on. Sam's products are shipped from the factory to both New York and Sydney for distribution which is managed internally. 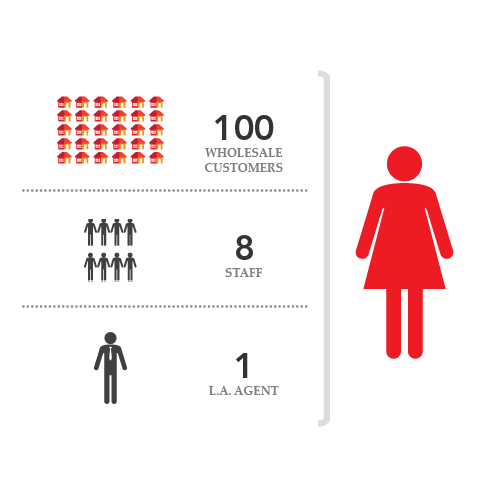 The system allows for Sam to have an unlimited number of warehouses, so this is easy for her to track. Her team then use Indigo8 to receive and check the goods, generate the final invoices and send her designs to the people that orders them. This is all seamless and each delivery is based on the original sales order. 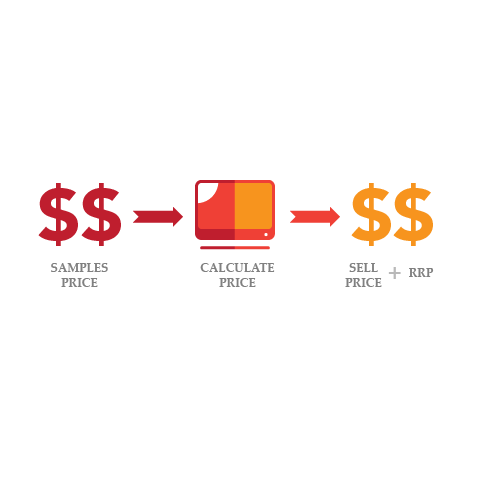 Using modern solutions and innovative technology our product lifecycle management software provides order in an industry that is often swamped in data entry and confusion.